A human resource department is one of the busiest departments of a business as it needs to provide the administrative support that a company needs. With this, there are a lot of agreements that should be fulfilled to ensure that the procedures followed by the human resource department is aligned with the regulations of the company. 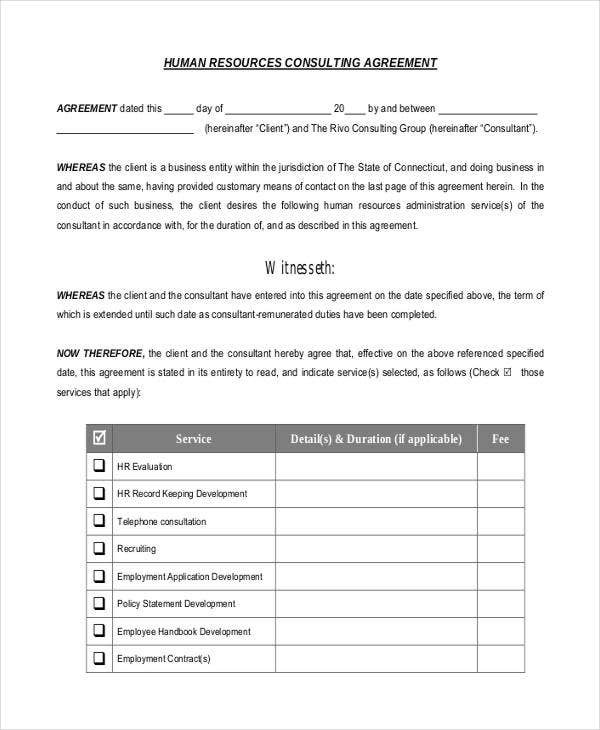 From HR non-compete agreement up to representation agreement templates, we got you covered as we have a variety of different templates that you can use to create the specific document you need. The templates available for download in this post are in Word and PDF. Feel free to browse through our selection. 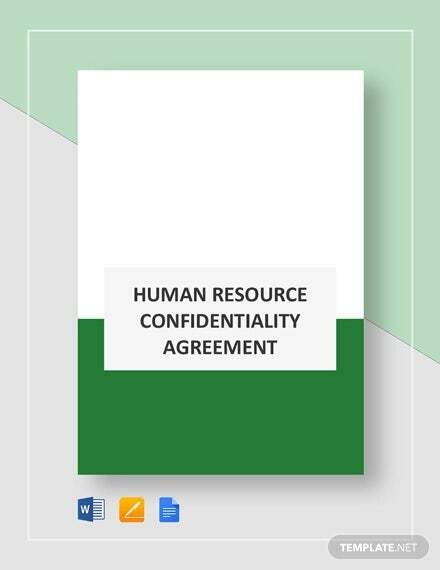 An HR confidentiality agreement is used to assure that the employee to whom a sensitive information has been shared to by the human resource department will not tell any other person about the details that he/she has been made privy to. 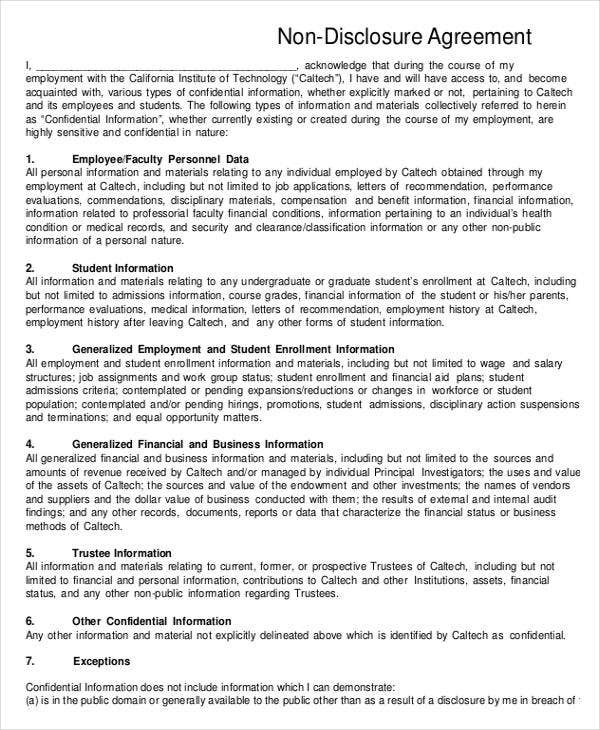 This may include special tasks that need to be done, employment agreement, the information about the employee’s salary increase and any other items that should only be discussed between the employee and the HR. 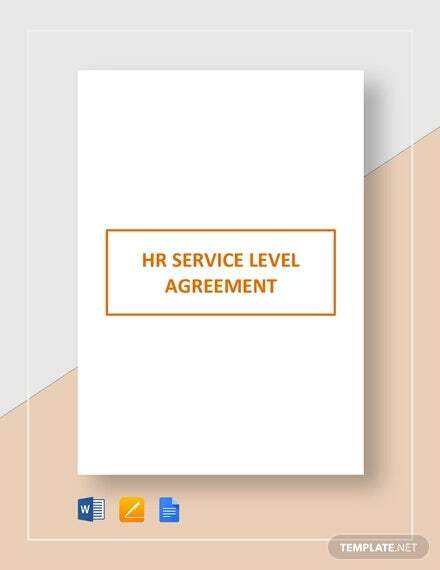 An HR service agreement is the document that provides information about the services that a human resource team has agreed to execute. It is provided to the stakeholders of a business. This will help the company who needs an HR team and its services to determine the minimum requirements that they can expect from its HR employees. 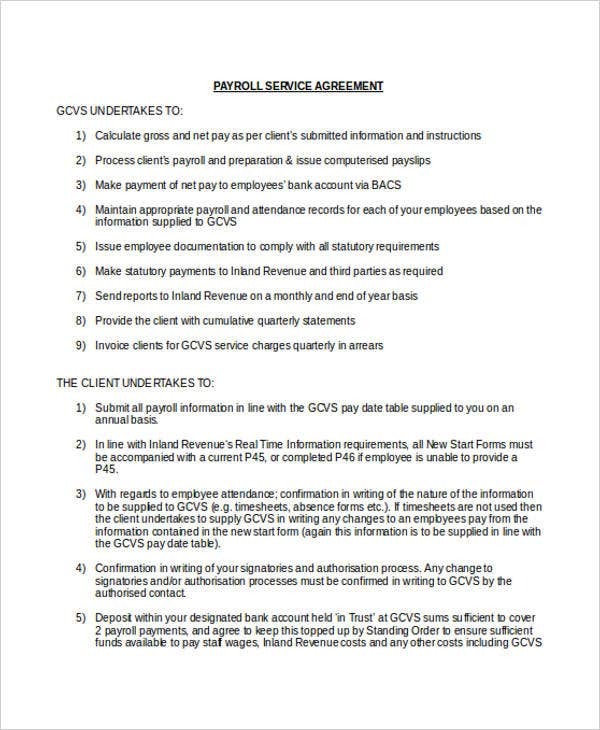 There are still a lot of HR agreements that you can use in a variety of purposes. 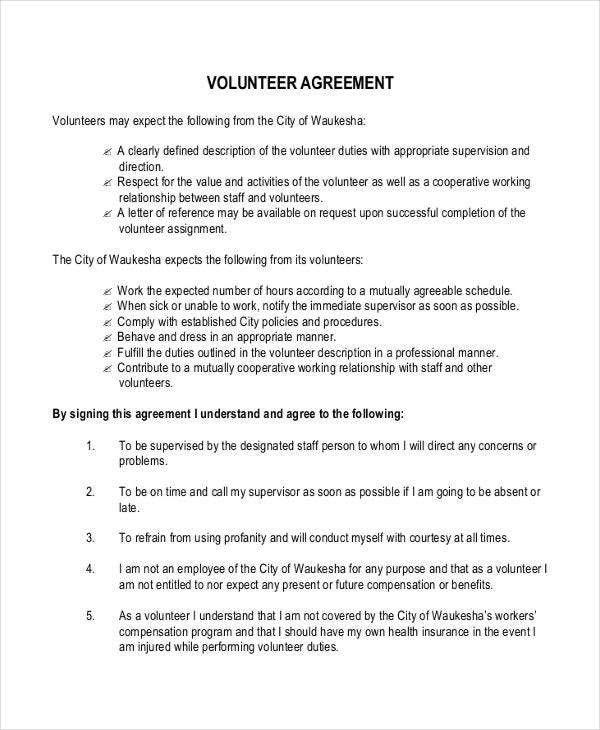 All you need to do is to assure that you are aware of the purpose of the agreement so you can curate the appropriate HR agreement document. 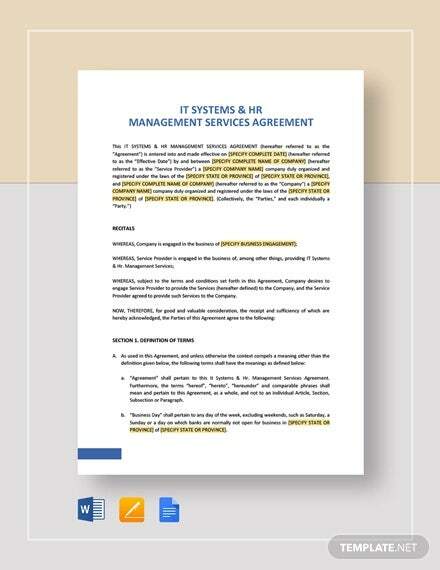 Specify the purpose of the creation of the HR agreement. Identify the people who are involved in the transaction. 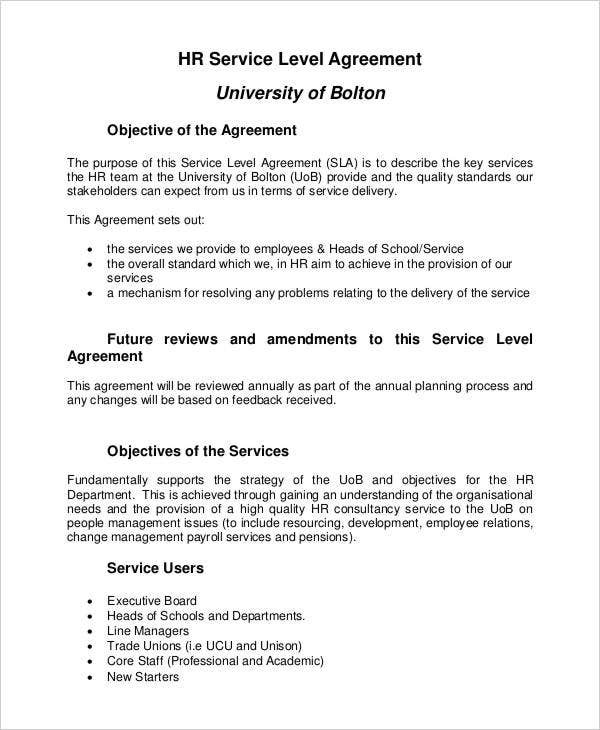 List down all the items that you would like to discuss in the agreement. Plot the discussion in the template layout. Properly structure the items that you want to relay based on how you would like to organize the flow of the written conversation. Review the HR agreement and assess whether it is good enough to be sent to the other party involved in the transaction. 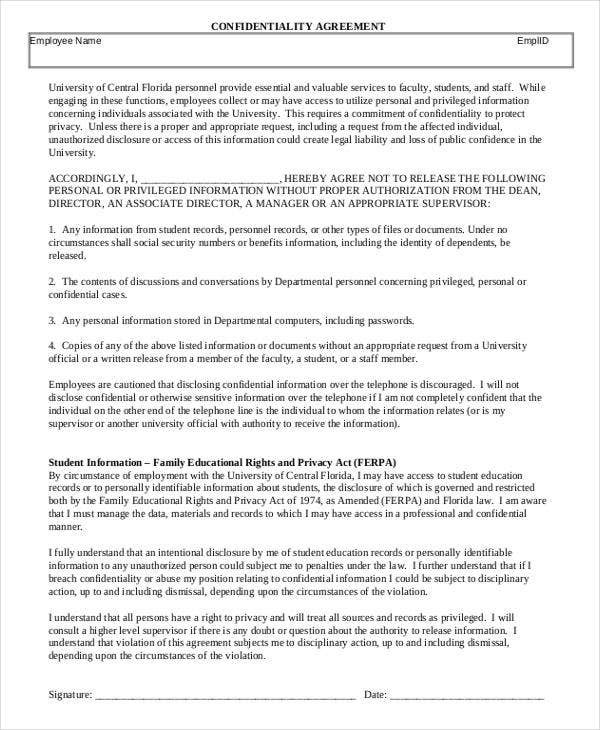 Then again, you can also choose to download the available agreement templates in Word and PDF on this page. 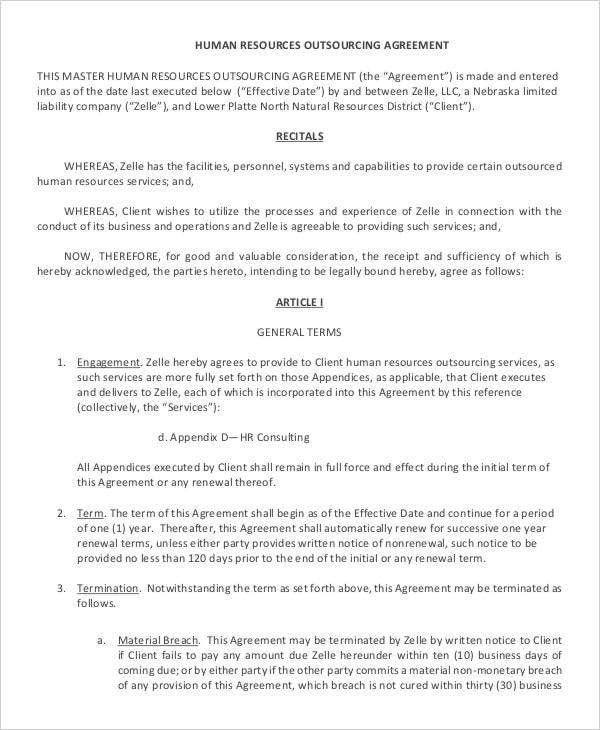 Though there are different kinds of human resource agreements, you can still use these steps as they are more focused on providing an effective HR agreement format guide.